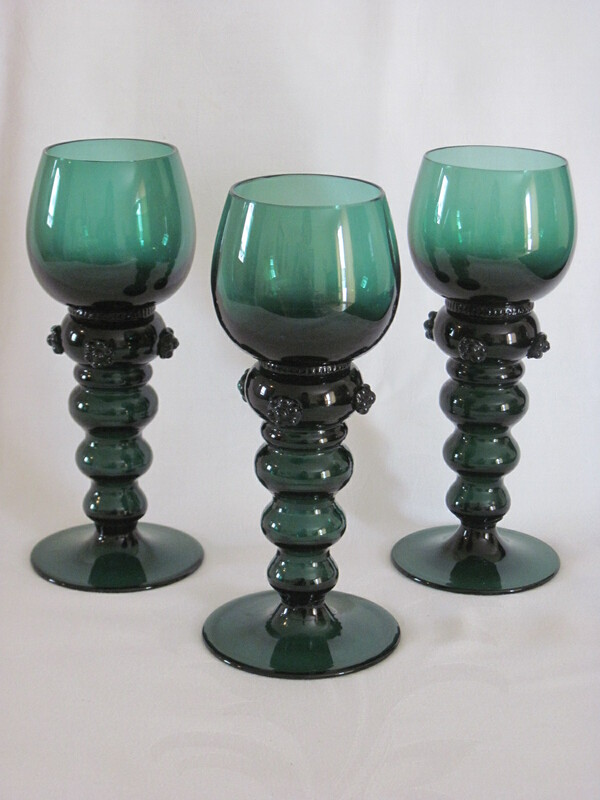 These three green bubble stemmed wine glasses are called Roemers or Rummers. I don’t know who the manufacturer is, nor the era. I would guess them to be from the 1960’s because of the colour but I am hoping someone recognizes them and gets in touch. They are quite tall and heavy. The detail on the stem is quite unique. They are called raspberry prunts and help the drinker grasp the stem. 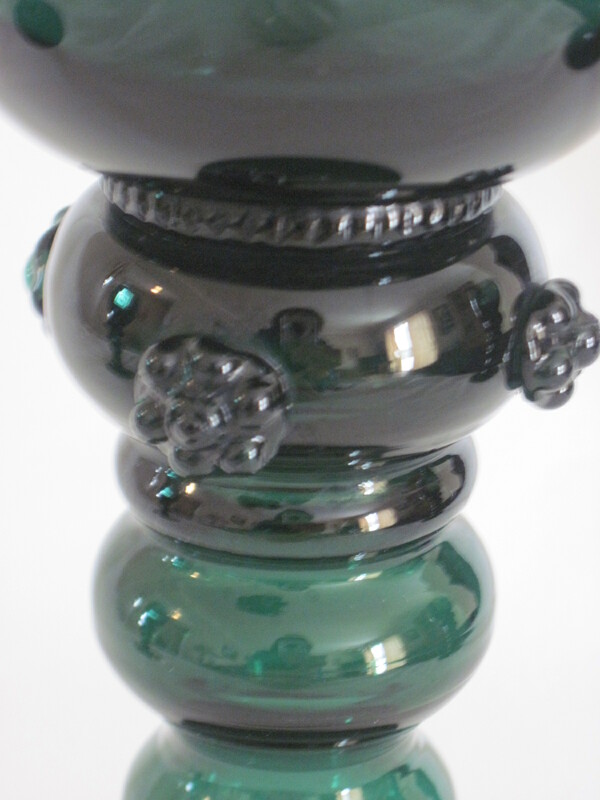 Roemers are popular in Germany and the Netherlands and the green colour was originally from impurities in the sand used to make the glass. It was thought that the green colour went well with the white wine typically served in them.